Gift Wrap – This is a perfect idea for a grandparent’s, aunt’s or uncle’s birthday. Not only do they get the gift inside, but they get to keep the personalized “gift-wrap” it came in! Greeting Card – Everyone loves getting snail mail, so have your little ones turn their art into a greeting card! They could even cut pieces from multiple projects to create a collage to help declutter even more. Create a Photo Book – This could be an actual photo album, or a digital album on your computer. 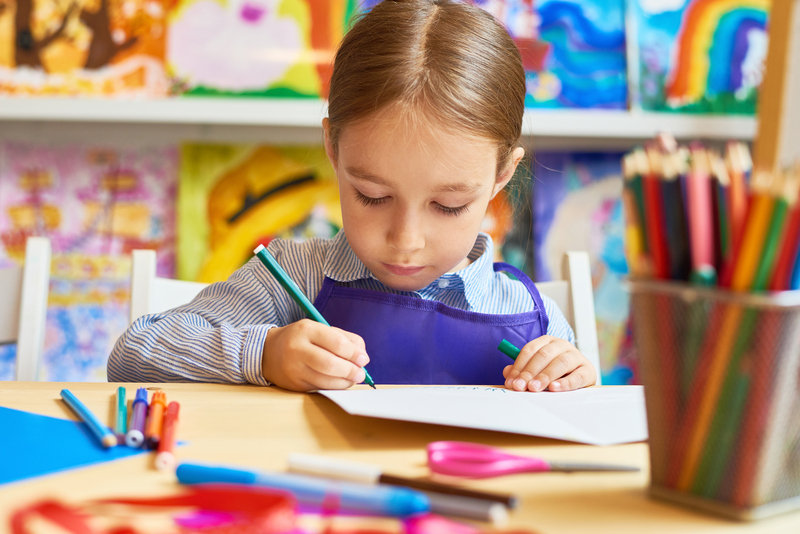 Take photos of all of your children’s artwork from the year and save them in a folder or photo album. This way, you can recycle some of their projects while preserving their memory in a photo.